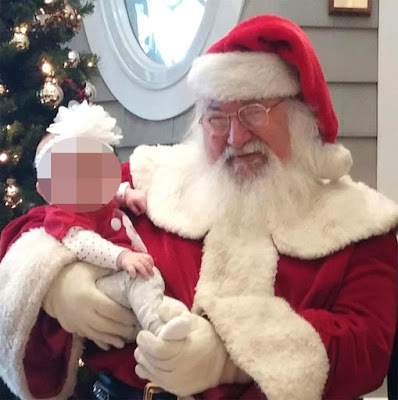 Retired New Jersey transit worker Charles R Smith, 66 had been volunteering as a Father Christmas impersonator for a children's charity. 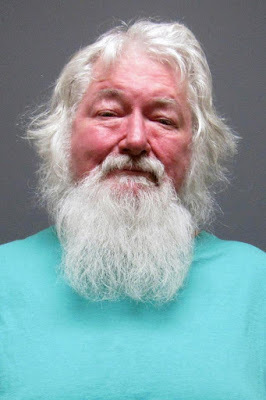 According to cops ... "Officer Matt Orefice stopped Smith's vehicle after a motor vehicle violation on Route 46 and saw the crack pipe and Santa Claus costume in plain view. A search of the vehicle turned up more paraphernalia and the hypodermic needle." Cops then arrested and charged him with two counts of drug paraphernalia - a crack pipe and empty bags of crack and heroin. Smith does Santa work with Toys for Tots.